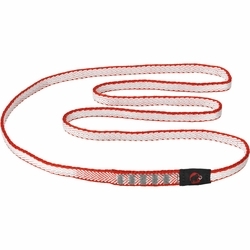 Mammut Contact Sling 8.0. For years the unbeatable Mammut® Contact Sling has proven itself as a universal and super-light webbing sling on the mountains and cliffs of the world. Very strong webbing combined with the unique contact stitching technique ensures optimum handing, even in the seam area of this high-end sling.